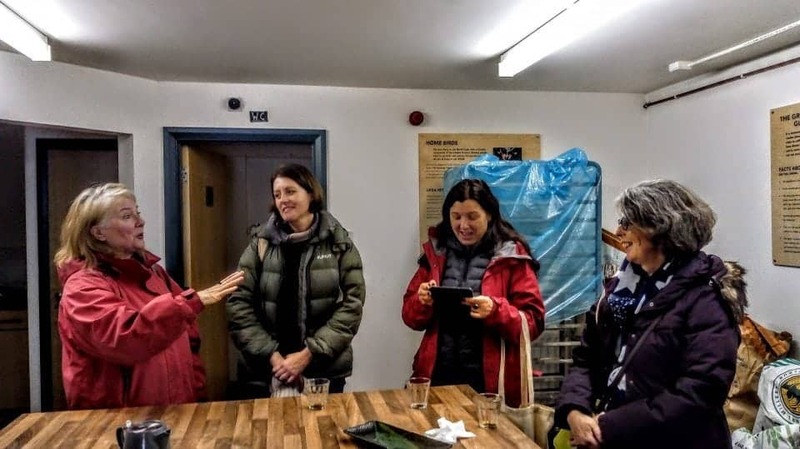 I searched high and low for a great food tour outside of Belfast and preferably along the spectacular Causeway Coastal Route, and that’s when I found Irish Feast and the Ballycastle Food Tour – it was deeply buried on Google but I found it nevertheless. 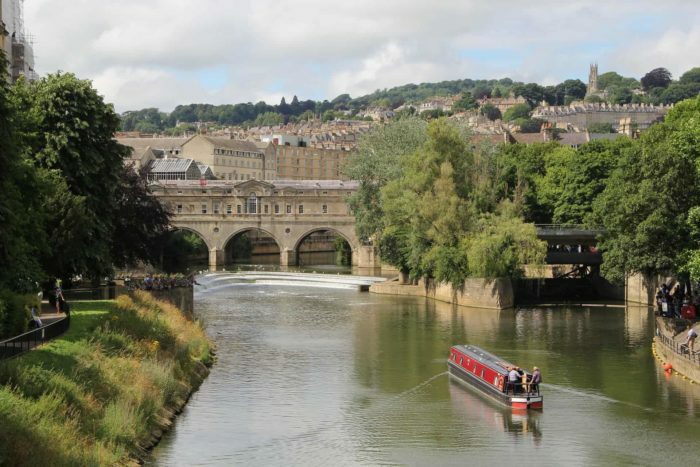 I approached Caroline who had developed the tour to see if she would allow my husband and I to take the tour and for me to write about it on my website. Caroline was more than happy to allow us to come on a tour and I promised faithfully that all the opinions expressed would be my own and would be totally honest. 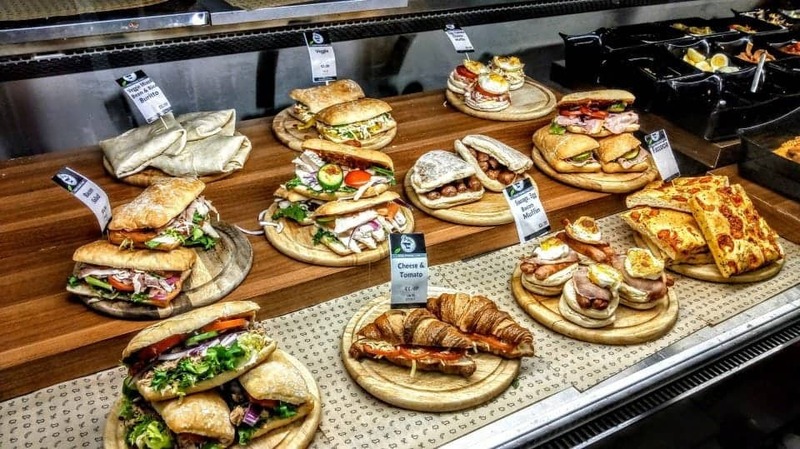 It must be said that hubs and I are total foodies and will spend an inordinate amount of time searching out the best deli’s farmer’s markets, bakeries, cafes and restaurants. The one huge thing that can be said about a food tour is that it makes it effortless, you get to try the best of the best, meet owners and Chefs and really learn what makes a great place to eat or drink. Ballycastle Food Tours met and exceeded our expectations and here is the full story of our lovely food tour. If you want a great B&B to stay at when you are touring the Causeway Coast you can’t do better than the Old Manse in Ballycastle. I should tell you that the tours costs a measly €40 Euros for over 3 hours of entertainment, education, food and drink with a cultural overview. A bargain even if it was twice the price. 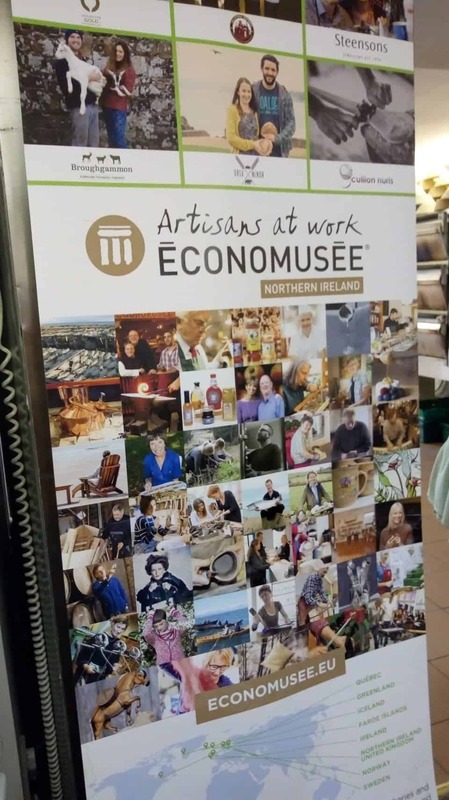 Irish Feast and its Food tours of Ballycastle, Bushmills Village and Rathlin Island were created and developed by Caroline Redmond who makes her home in Ballycastle. Now I have to admit to having a deep fondness for this part of the Causeway Coastal Route and I was absolutely delighted to have met Caroline and taken her Ballycastle Food Tour. The Causeway Coastal Route (Causeway Coast) takes in the jawdropping ride from Belfast along the northern coast and it includes such phenomenal sites as the Giant’s Causeway, Carrick-a-Rede, Dunluce, many of the Game of Thrones filming sites the Glens of Antrim and so much more. Ballycastle is personally my favourite place on the Causeway Coastal route. Caroline herself is a passionate foodie, in love with both her town of Ballycastle and the amazing developments in the Irish food world over the past 10 years. Caroline is as passionate about the best ingredients grown locally and produced in Ireland, as the Chefs, bakers and owners are in their respective venues. Caroline works tirelessly on behalf of the local restaurants, food producers and small businesses in her community. 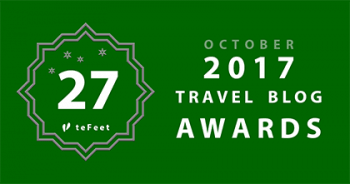 Her single-handed determination to make this area a mecca for foodies is succeeding beautifully and her food tours of the area prove that. We attended the Ballycastle Food tour on an incredibly blustery Saturday morning. The wind was whipping around the harbour and the sky had that strange, only in Ireland, look of gold and grey with beautiful rainbows. We began our food tour with our guide Fiona. Fiona is a certified N. Ireland Tour Guide and she was brilliant. Originally, from the area, she spent many years in Edmonton Canada and we had a good laugh about how the Irish react to snow. 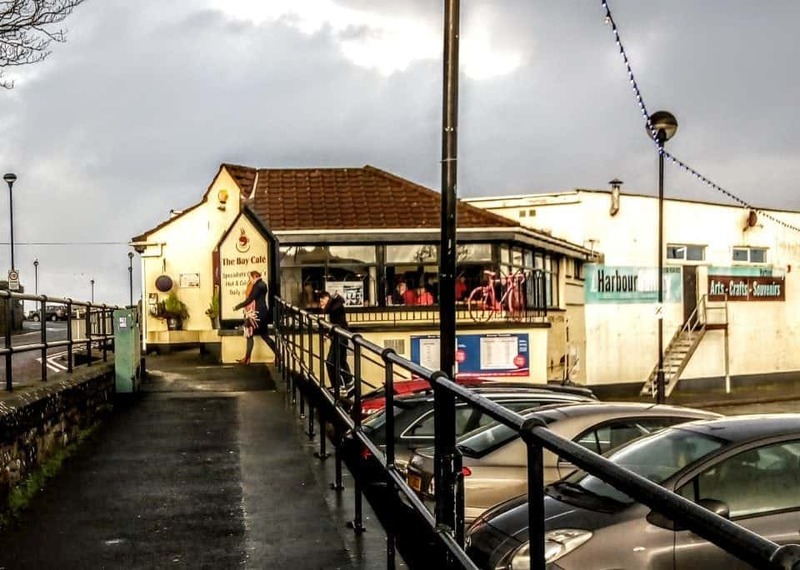 Fiona weaves her Ballycastle Food Tour into the fabric, history and community of Ballycastle. She wants us to see and really appreciate the area and its gifts and she is very successful at it. We all met at the Tourist Office in the harbour, which was really convenient as we could all park our cars for free there. Our first stop was the Bay Cafe right in the harbour. Caroline had originally chosen this spot because she calls it her “comfort zone” she is great friends with Teresa and Stephen who own the place and indeed met her partner here on a blind date (they have now been together for 7 years so it must be lucky indeed). We certainly felt lucky as we were warmly met by Teresa and quickly offered a great cup of tea to fight of the chill of the morning. We had the most tasty and original little breakfast starter I have ever seen. Now I am NOT a fan of black pudding but this beautifully composed – Ulster Fry mini-stack was perfection. It is a combination of handmade soda bread, black pudding, egg and potato bread combined with a delicately fresh tomato salsa on the side. So damn good, I even ate the black pudding and loved it. We asked Teresa where she got the black pudding from as it was perfectly formed tiny round. She told us that usually they buy it locally but the Vicar brought over this particular pudding from Scotland as they were out of the local product. Delicious was an understatement. From the Bay Cafe Fiona led us down the street with some historical background on the harbour and Ballycastle founders. We were directed to cross the street to the local Spar shop. 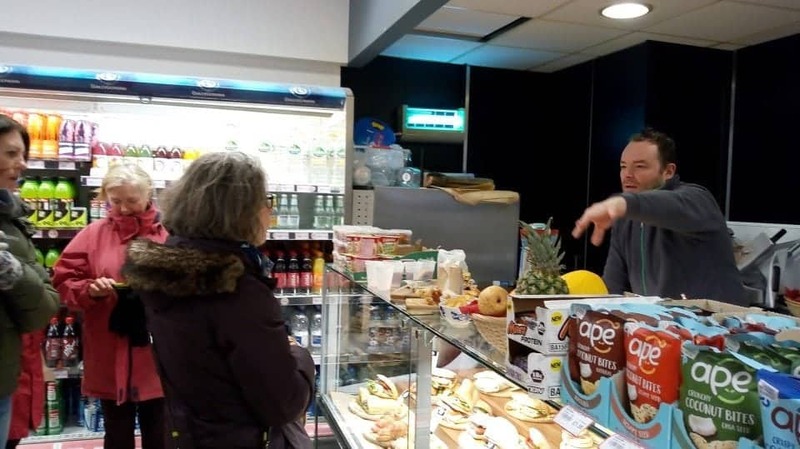 The Spar is a well-known entity here in Ireland and across the UK, it is generally speaking like a small grocery store with all the basics plus some fruit and veg a little meat and all kinds of newspapers, snacks and tinned food. As a Canadian, we don’t expect much from our local variety stores which is at heart what a Spar is but we were really impressed. Fiona showed us that there were all kinds of local goods on sale at Boyles Deli/Spar from locally grown vegetables to a great selection of sliced packaged meats and cheese all Irish in origin. But what was really a treat was the very impressive Deli counter. Aidan the owner, entrepreneurial soul that he is has built a very nice deli bar and sells all manner of things Irish from chips (crisps) to some fantastic cheeses. We also have to say the sausage rolls that they make in house are absolutely superb. So good, in fact we had to make it a point to stop back on our way home and pick up a dozen to take home with us. Our next stop on the tour was a windy walk up the gentle slope from the harbour into the village proper. 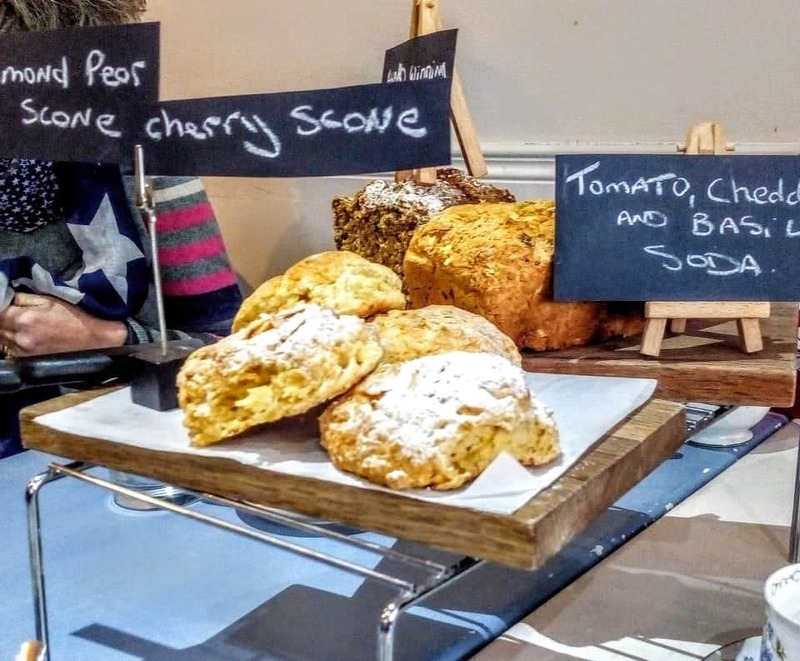 We needed another warm drink and Thyme & Co was the place for not only a truly great coffee but literally some of the best (and award winning) Irish scones and Soda breads. Tender, moist and oh so delicious we got to taste some tomato and pesto soda bread some great Irish Wheaten bread and the scones, my husband was going to grab the leftovers and shove them in his pocket and he’s rather sad he didn’t’ get a chance. What I particularly loved about Thyme & Co was Tom the owner telling us the story of the business and how at one point they had a large facility outside town where they were baking all the breads, scones and pastries but had to make a decision as to whether or not to grow that aspect of the business or stick with the cafe. Beyond a shadow of a doubt, they made the right decision to stick with the cafe. They decided that quality of life and sharing what they make and supporting the local community was the best way to go for their family. Can’t imagine a N. American making that decision as it’s all about the money there. Tom told us a story of how one day he had a large group coming in and he knew he was going to be about of a particular item to serve, so he called up his local supplier and asked if there was a way to obtain some product from somewhere as he knew the supplier was closed for the weekend. That supplier gladly opened up his business, got Tom everything he needed and delivered it to him. That is community support and that is what small business should be about. 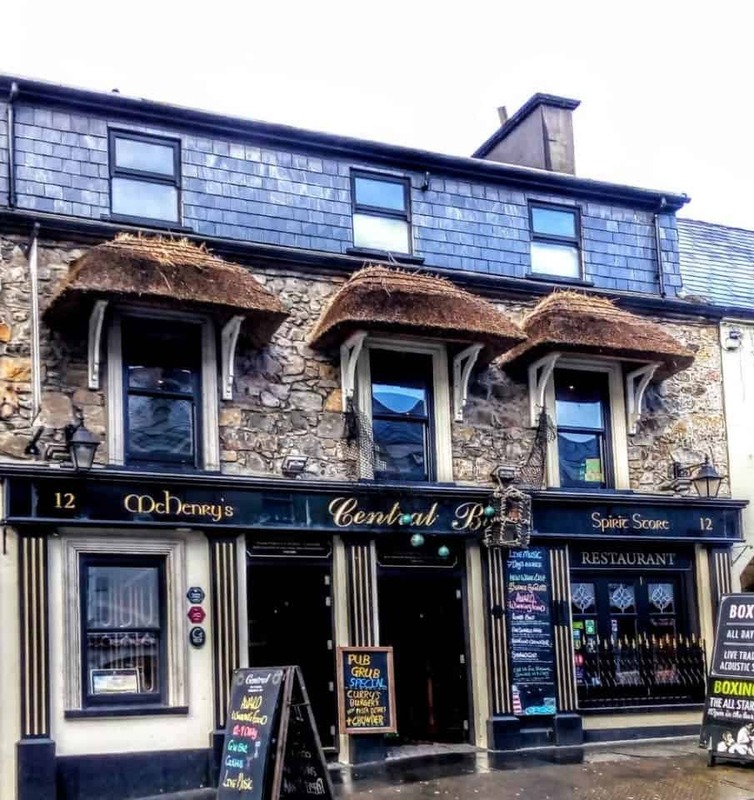 Our next stop was the Central Bar, now last time hubs and I stayed in Ballycastle we stumbled across this and had the best meal we had tasted in Ireland. 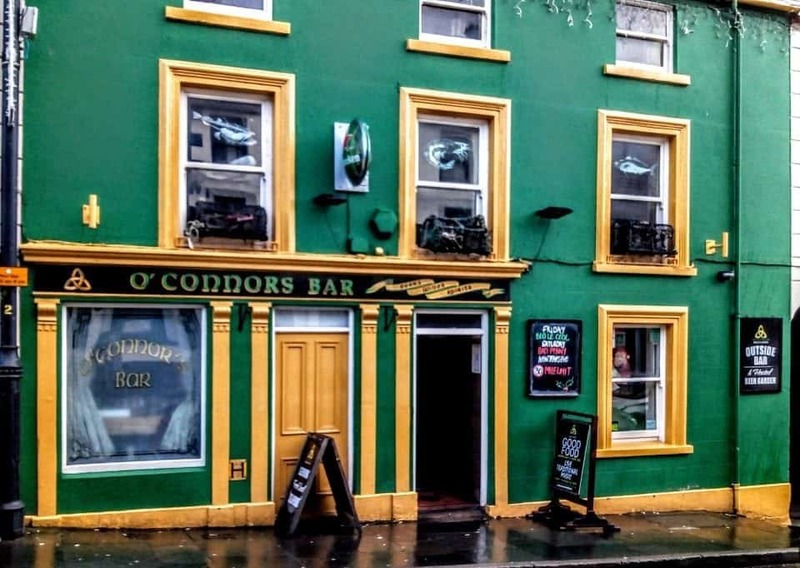 So the fact that we go to go there again and have a lovely bowl of their divine Seafood Chowder and Guinness wheaten bread – well we were in heaven. 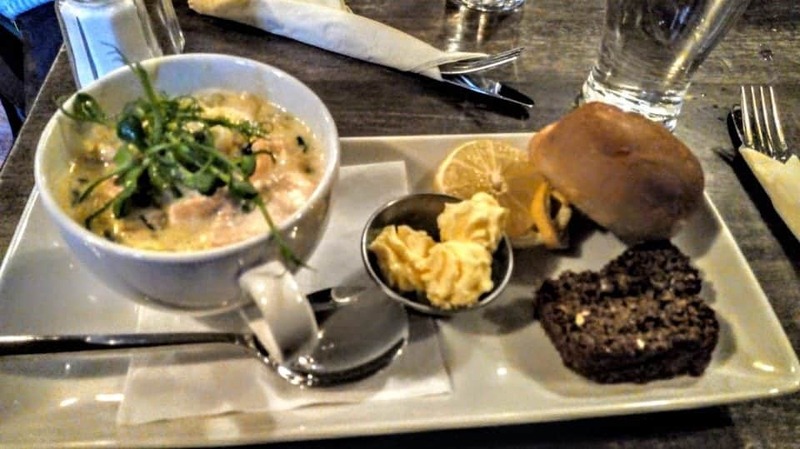 I noticed a distinct silence at the table as we all sipped our hot chowder with eyes closed just savoring the taste of huge chunks of salmon and other fish with a hint of smoke. What a treat. From the Winebar we crossed the street to O’Connor’s Bar, which was jam-packed with lots of fellas watching a critical match between Celtic and Rangers. The place was cheering and raging at good and bad shots on the field and the whole pub was a lively friendly place. 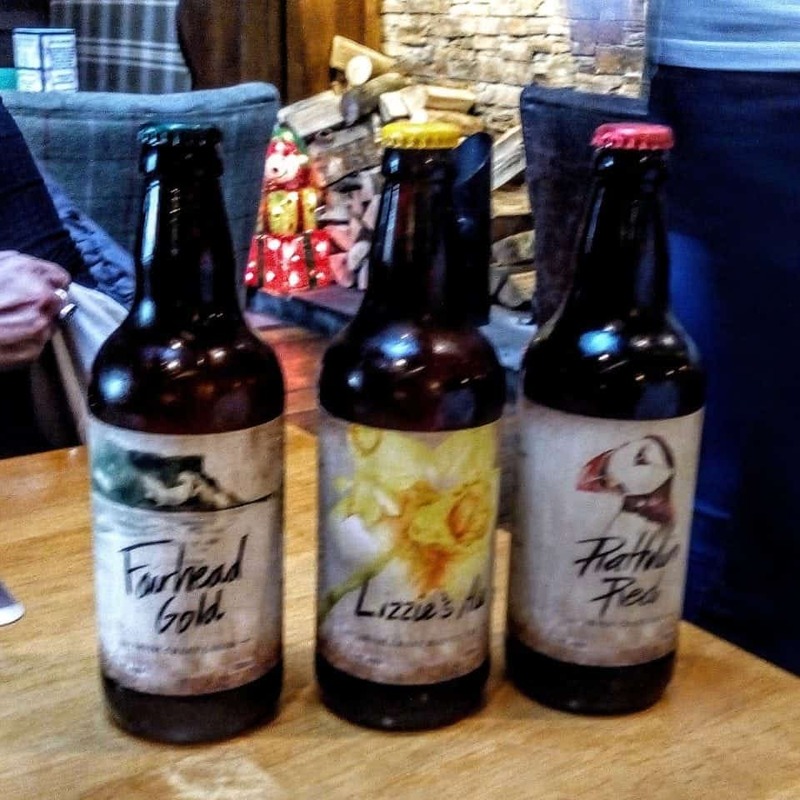 We were lucky enough to get to taste some of that absolutely amazing locally brewed Rathlin Red Ale which was beautifully fruity and with a depth of flavour that had to be tasted. 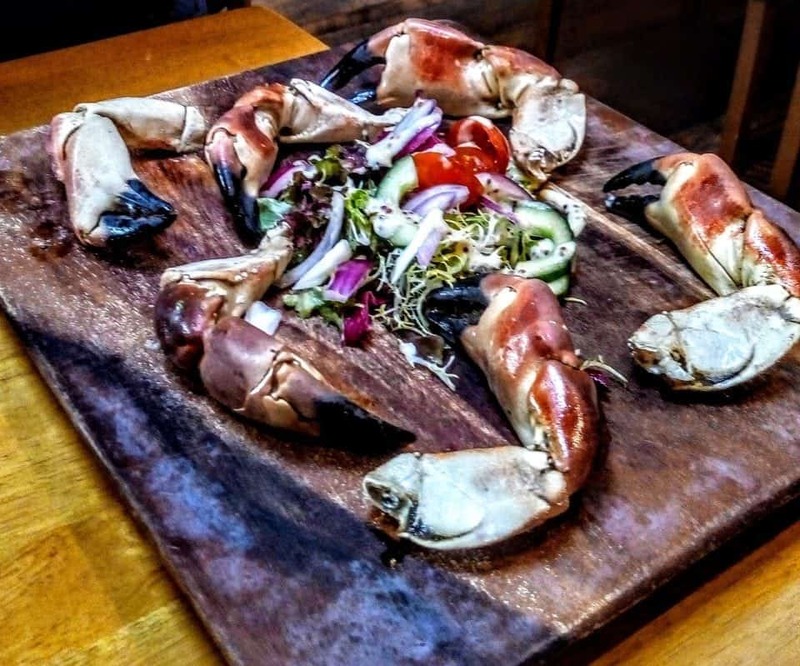 We were shown how to crack our crab claws, which provide us with much entertainment as we splashed each other and ourselves with crab juice but oh, the sweet tenderness of that Irish crab was simply delectable. Ursa Minor was our next stop on the way back to our Harbour starting point and sadly was going to be the last place on the tour. This concept of Économusée was developed in Quebec, Canada over 20 years ago and has spread worldwide. At Ursa Minor, the owner Dara showcased his sourdough starter and explained to all of us the benefits of sourdough to make bread. 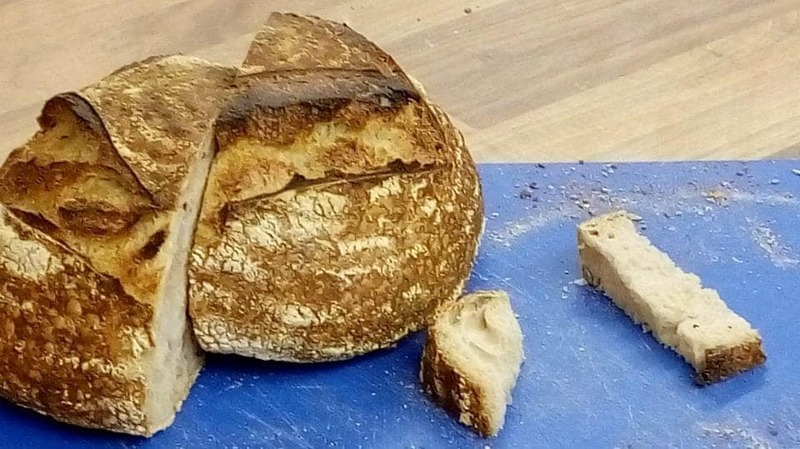 We have had many sourdoughs in our time but this was the sourdough to beat all sourdoughs. A light and tender crumb but firm enough to handle some good cheese; the crust was chewy and crunchy absolutely perfect. I swear on a stack of bibles I will never eat that grocery store crap again. Oh and on top of that, Dara’s wife Ciara had made us some tiny little pastries that just summed up the whole experience – they were perfection. We’ve tried a lot of cakes and pastries here in N. Ireland but on the whole, the experience has not been worth the expense, lackluster, tasteless, dry and obviously lacking in quality control – but Ciara’s were absolutely as they say, “to die for”. In fact, so much so we went back and bought a mixed box of treats, which never did make it home. 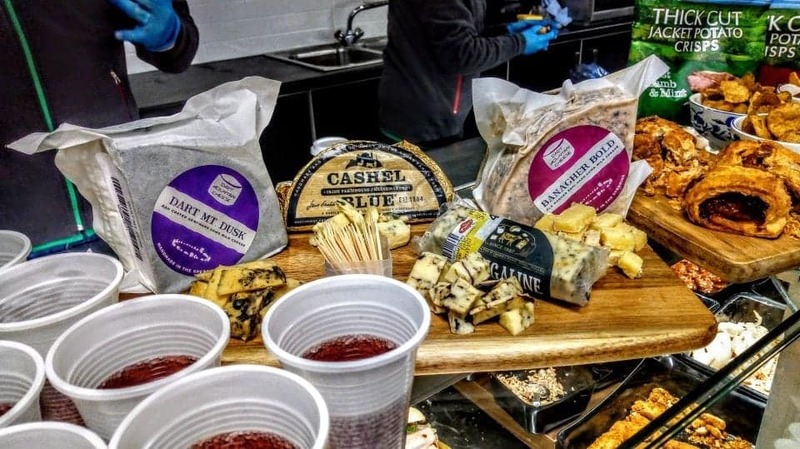 There are a few Northern Ireland Food Tours, most concentrate on the Belfast area but I simply can’t say enough about this tour and highly recommend it when you visit Ballycastle and the Causeway Coastal Route area. The Ballycastle Food tour was arranged by Irish Feast. 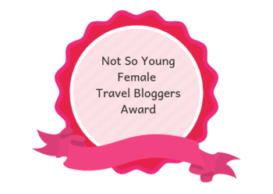 As always, all words and opinions are entirely my own (except quotes!). I haven’t been on a food tour when I travel yet but I’d really like to. We’re hoping to take a trip to Ireland and Northern Ireland this spring so I’m pinning this for later. Oooh, I absolutely love the food in Ireland. I just returned from Belfast and pretty much ate my way around town. I didn’t have time for a food tour, but it’s so on the list for next time. Oh wow! I love that there’s a real sense of community and support along with all the deliciousness. The vicar with his baggage of black pudding, and the supplier opening up especially were grand additions to convey the charm of the place. Interesting to see the Spar with its sidelines too; we visited a similar Spar in Hawes, Wensleydale, which also kept artisan supplies alongside its normal convenience stock. It’s a brilliant idea. It was fantastic and that was my favourite part getting to meet the owners and feel their passion and hear their stories just loved it. This looks absolutely wonderful; it’s made me hungry!! I like a bit of black pudding (I’m quite low in iron, so a bit every now and then is actually quite good for me), and I’ve found that the taste very much depends on the quality of it. Bad ones are usually quite dry and unpleasant; if you get it from a proper butchers, or farm shops, it’s considerably nicer! You must’ve had a very good one there! It was truly a revelation to me the thought of it always put me off but this stuff is superb here and so damn its on the menu for sure now – and i never really thought about the iron aspects that an extra bonus. Saving this for when I’m visiting because I try to go on food tours in every city I travel! They’re a great way to get to know history and food. I know I am craving those scones right now and it is worth the drive up there…lol…they are moist tender and oh so deish next time I am taking home a half dozen. Wow, 40 euros is certainly a steal for all the yummy food you ate and the experience you had. That sourdough looks perfect! And this is the first time I heard of Economusee concept. Would certainly like to see more of that in towns and cities worldwide! It’s a pretty cool concept and I must admit I am so proud it started in Canada. As for the food it was truly amazing the baker who does the sourdough has a “mother” for the bread he has been tending for ages and the taste is like nothing you have ever tried before so good. Totally sold, absolutely want to go and eat everything! Such a delicious post! I don’t think I could handle food tours… I mean I can, but I would probably be as big as a house hahaha. I am a total foodie. My motto is “I workout to eat” :)). Totally sold on the N. Ireland food experience. Food tours is one of the things I’m missing! Would absolutely love this food tour! This is totally up my ally! I love love love food tours! I hate going on tours but love food tours because you actually get to eat the amazing food without disappointment! Thanks for sharing this post! This looks amazing! I love food tours because it makes it so much easier and efficient to find greta food. I would love to try ursa minor and see this elevated Irish cuisine. Now I need to go eat something!! It does sound like a great tour. Glad you had the black pudding! Now that I live in England, it’s probably my favorite food. I was scared to try it at first though. Where do I sign up for the tour? 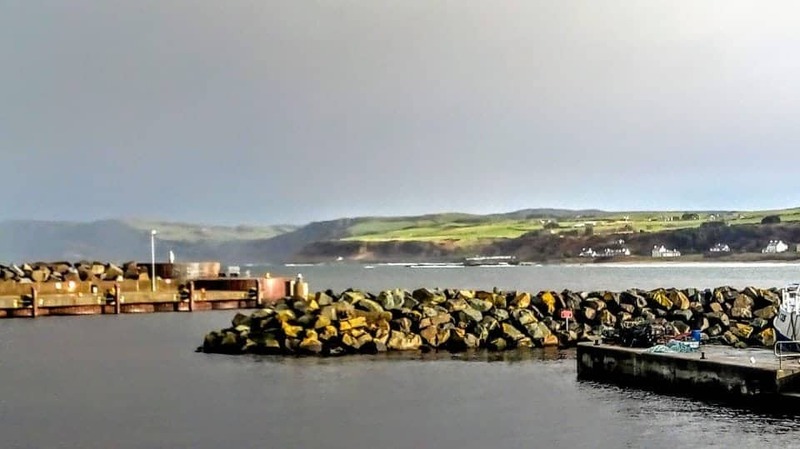 I will be renting a house in Ballycastle next year for a month and would love to do this at the beginning of my stay so I can get the lay of the land.